Last Thursday, Annapolis joined the growing number of communities around our nation to experience the evil of a mass murder. 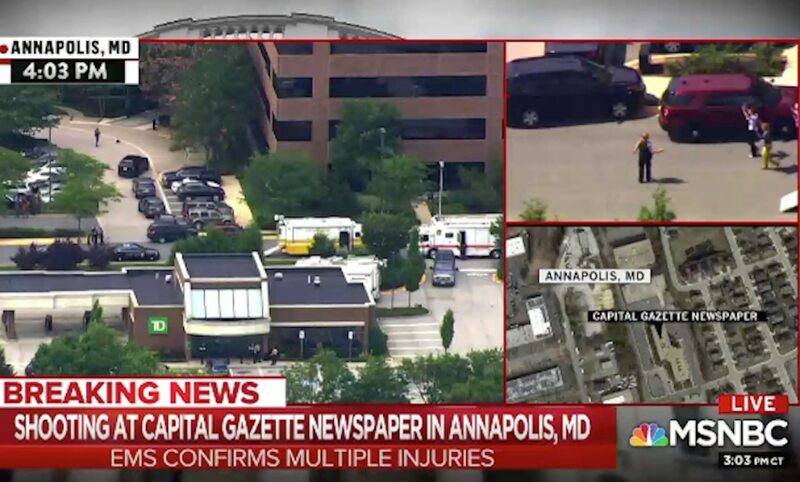 Five employees of the Capital Gazette died and several others were injured by a shooter who had a history of disagreement with the paper. On days like that, does anyone know where the love of God goes? It is so hard to feel love when these things happen, let alone keep believing it exists. But on those days, and all others, there are unchanging truths about God that we confidently hold onto – not because we always feel them, but because the Bible teaches us. First John 4:8 clearly states, “Anyone who does not love does not know God, because God is love.” It’s his nature and doesn’t change, no matter what people may say or even what our own hearts whisper to us. “If we receive the testimony of men, the testimony of God is greater” (1 John 5:9). The capitol community in Annapolis has really been shaken. Please pray for those who lost family members and friends. And pray for the ministry of local churches in Anne Arundel County and Capitol Commission to be a resource to point all to Christ, especially in circumstances that can cause doubt and confusion. Independence Day is a great opportunity to celebrate our earthly citizenship, but an even better time to be reminded of our ultimate allegiance to the kingdom of the Prince of Peace. We are his ambassadors, only here temporarily (2 Corinthians 5:20).